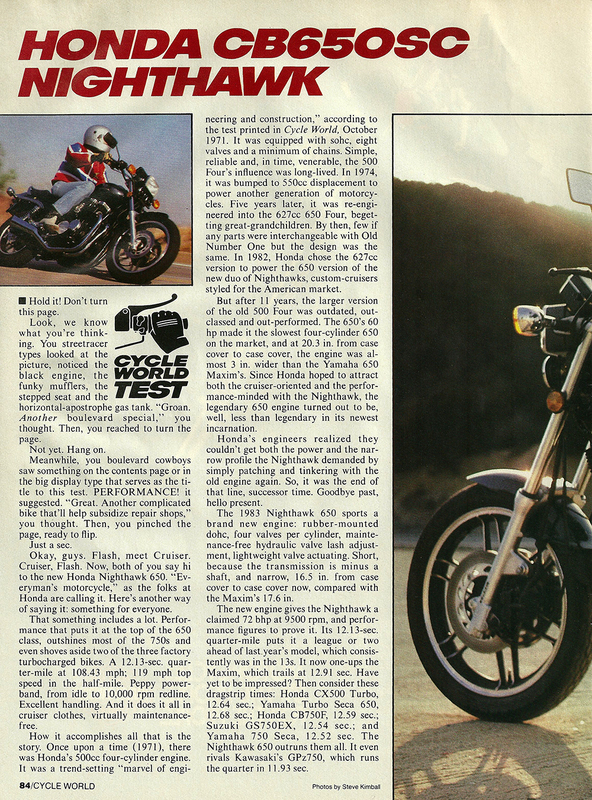 You remember the CB650? Well, forget it. You already have? Okay, now look at the Nighthawk 650.